Part record shop, part cafe, part gallery space – if Vinyl Deptford was in Hackney Wick or Soho it’d be crammed to bursting point during every opening minute. Thankfully it’s none of those things. 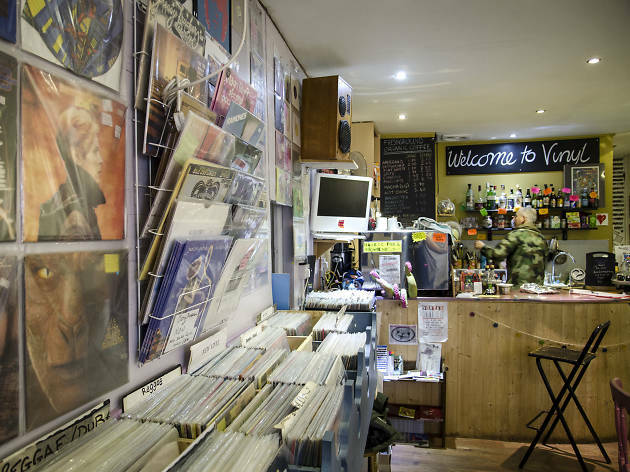 Squeeze through the arty, knick knack-strewn café, descend into the basement and you’ll find crates of lovingly sorted and annotated vinyl, covering everything from funk to garage to acid house to psych rock to soul. 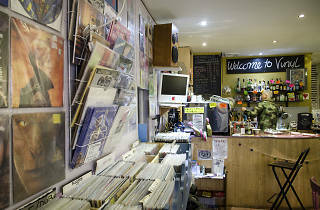 It’s a muso’s paradise, but you certainly don’t have to be a muso to enjoy a visit; Vinyl Deptford is also very much a local hangout, meaning you can simply linger over a coffee, bagel, beer or even hard liquor and veg the hell out – with a brilliant soundtrack in the background, of course, selected by lovely, friendly staff that couldn’t be further from the judgemental ‘High Fidelity’ music shop stereotype if they tried. Cosy and cute! Has quirky vibes and best of all... does great coffee.